For kids (and adults) that love some serious problem solving in their play, Blockitecture are just the ticket. They’re building blocks with a difference. Sky high with designer flair, they bring a whole new edge to the humble wooden block. 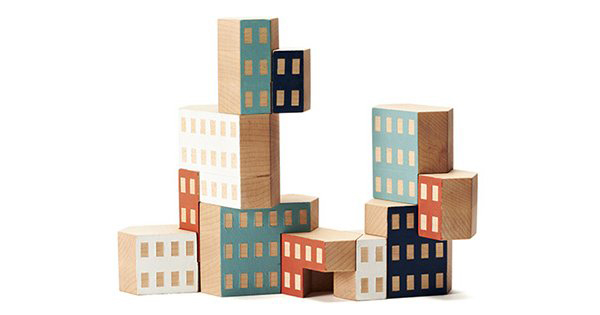 Designed by James Paulius for Areaware, Blockitecture blocks are easy on the eye. Made from New Zealand pine, they’re finished off by hand with bold paint in hues of blue, white and red. 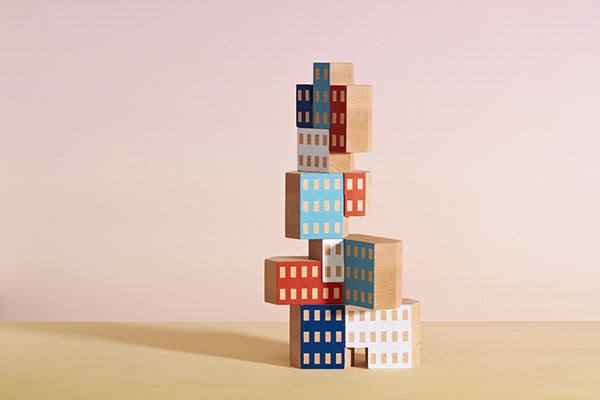 Creating a Blockitecture cityscape is a challenge and not one to be taken too lightly – this block set is designed to test balancing skills as users attempt to fit, stack and balance the shaped blocks while having some rather determined fun along the way. The Blockitecture set is priced $39.95 and is available locally from Until.